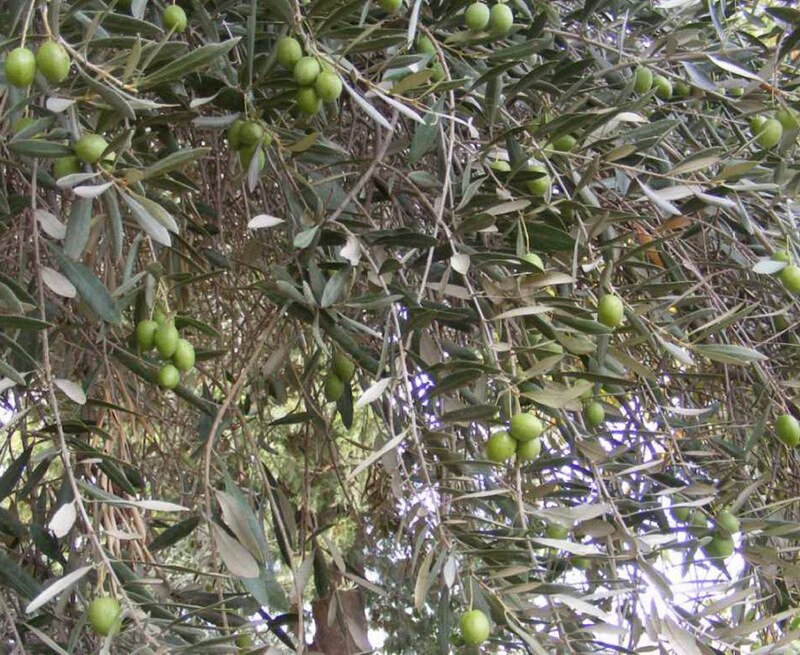 Many of you have inquired as to where we grow our olives. We are a very small orchard with trees that receive plenty of love and individual attention. Grown 100% organically. We never use chemicals or pesticides. When we first settled on the property we were told that the land (about 30 years before) used to be a complete orchard of persimmons, oranges, and olives. The farmer who maintained the orchard would continuously work the soil to maintain it's rich nutrients. After a harvest he would supply the local supermarket with his fruit. 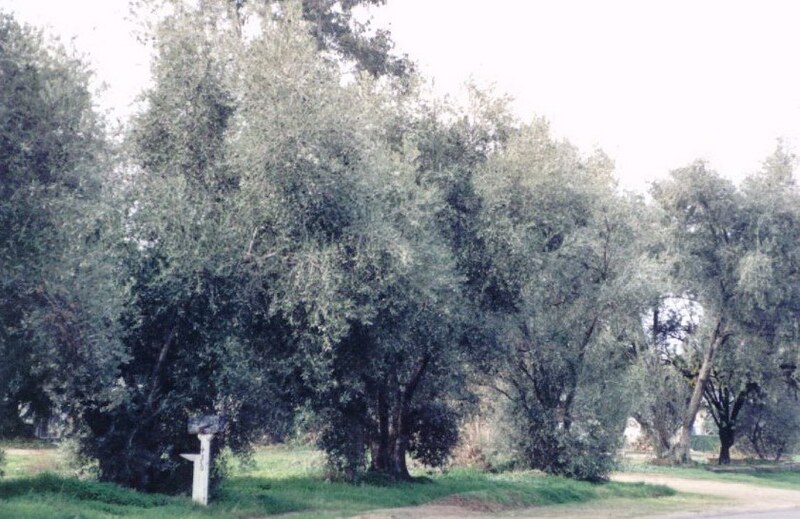 Today we have very old olive trees that still line our property and create a small orchard toward the back of All Love Olive Place. A single persimmon and two orange trees are all that's left of the original orchard when we arrived. We are located in the sunny San Joaquin Valley of California. 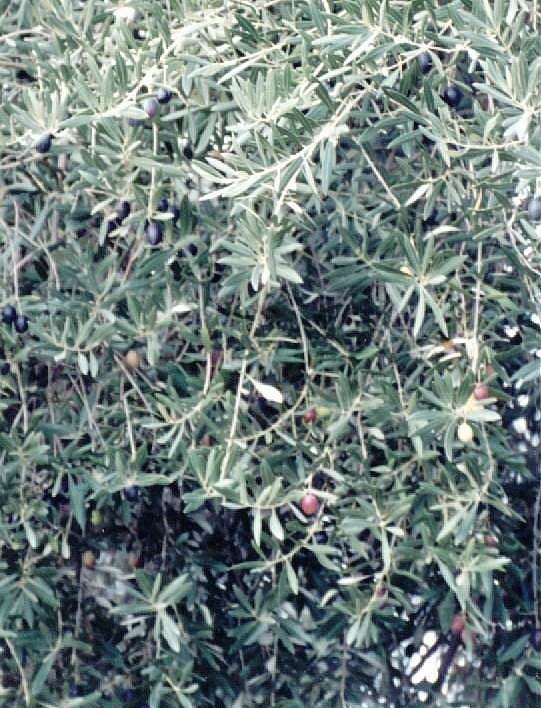 A terrific olive crop in 2010! Oh I'm blushing! 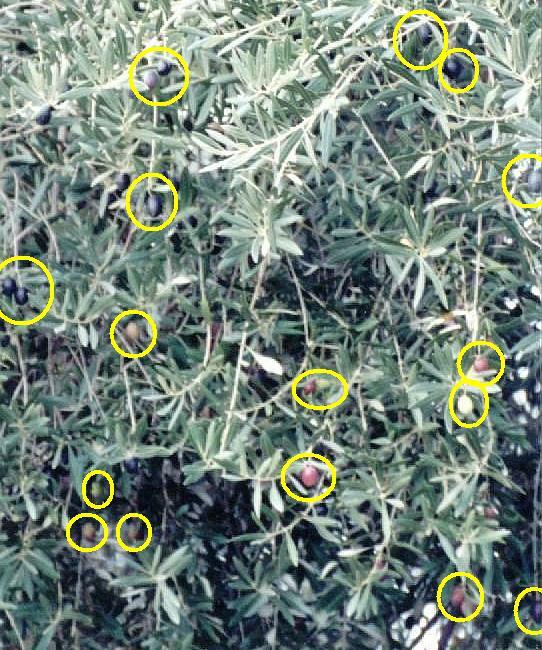 Great example of how we can harvest green and purple olives at the same time. 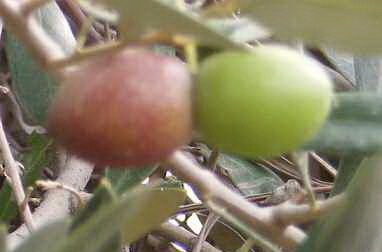 They are both the same fruit just at different stages of ripeness. and we probably still missed circling a few!